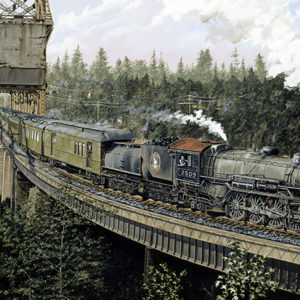 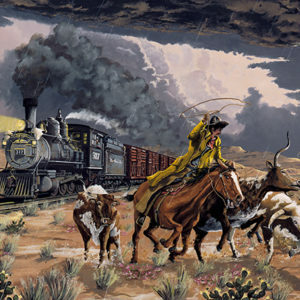 The arrival of the Santa Fe Railroad along the Arkansas River opened the prairies of south Eastern Colorado to settlement. 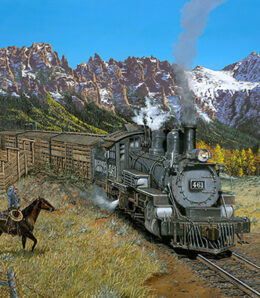 The arrival of the Santa Fe Railroad along the Arkansas River opened the prairies of south Eastern Colorado to settlement. 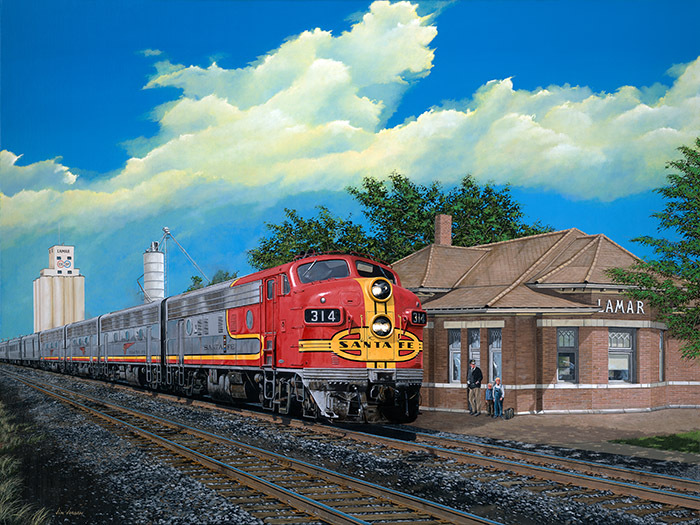 Lamar, Colorado, became one of the largest towns in the area as a result of the availability of the reliable and inexpensive transportation offered by the railroad. 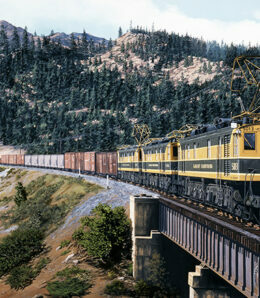 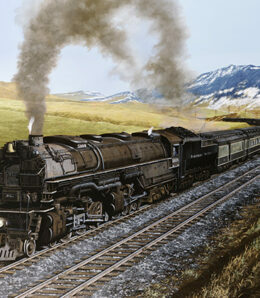 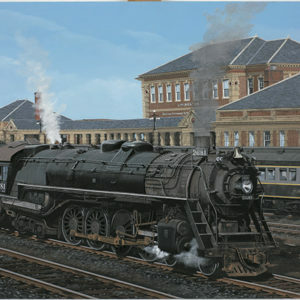 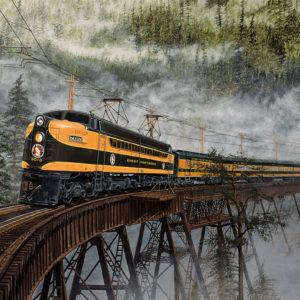 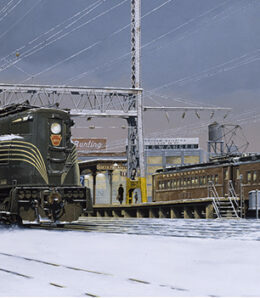 During the 1950’s, the F7 war bonnet was a familier sight as passengers and freight moved in and out of Lamar. 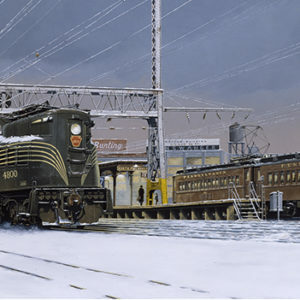 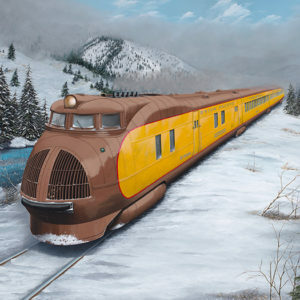 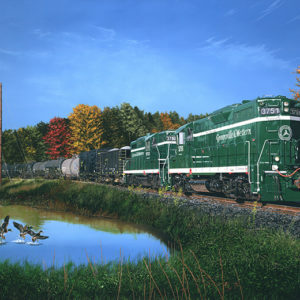 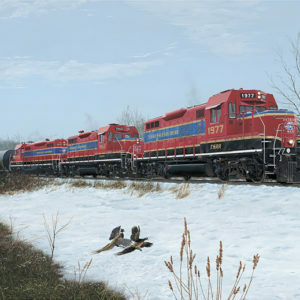 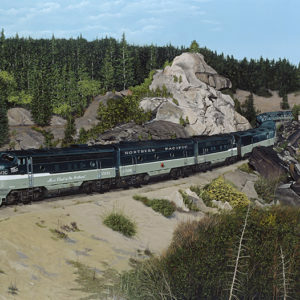 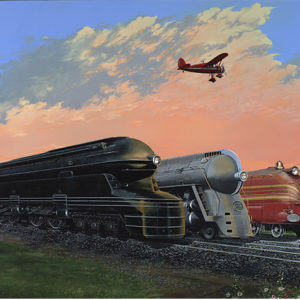 In the seene, the Santa Fe agent watches as two young boys wait to board the train as they set out on a grand adventure.